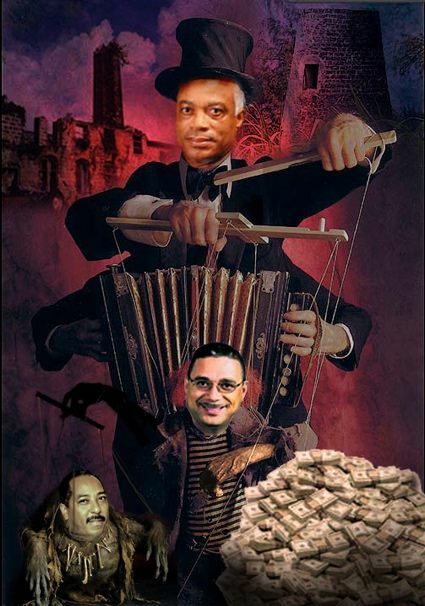 UPDATED January 23, 2014: NICE Radio apologizes to PM Gonsalves for inaccurately repeating BFP story! Hey folks, NICE Radio has apologized to Prime Minister Ralph Gonsalves for claiming that the PM owns two LIAT aircraft, and blames BFP. “That is if Skyhigh is correct, and he is anonymous so take that with lots of salt. BFP is only an anonymous blog ya know! Well, Prime Minister Gonsalves… do you or any of your family have anything to do with leasing aircraft to LIAT? Interesting though: St. Vincent has no integrity legislation and we don’t see the PM himself making a statement denying that he or his family own any interest in the aircraft leased to LIAT. Hey… maybe it’s the Mongoose Gang that’s behind all this? American Airlines pilot and Barbados Free Press reader Skyhigh says that the Prime Minister of Saint Vincent and the Grenadines, Ralph Gonsalves, owns two of the aircraft leased to LIAT airlines. The deHavilland / Bombardier Dash 8 300 Series airliners carry registrations V2-LGI and V2-GG. Clico On Life Support – Will Barbados Prime Minister Thompson Favour His Patron Leroy Parris, Or The People Of Barbados? Corporate Beggar CLICO Says It Is Payback Time For All The Free BizJet Rides! The government of Trinidad & Tobago is refusing to say how much money it is giving to bail out the CL Financial Group and CLICO, but the estimated liabilities amount to US$16 Billion dollars. Yes, BILLION with a “B”. Prime Minister David Thompson of Barbados has yet to make a statement about CLICO’s narrowly averted bankruptcy, but soon (and probably already secretly done) his longtime friend, client and patron Leroy Parris will come asking for addtional concessions from Barbados. That means that CLICO and associated companies will be asking the Prime Minister to give your tax money to a company that has an estimated 100 billion dollars in assets, but has run out of cash. What has happened to CLICO is actually very simple. Let’s say that you bought a number of houses over the years and have rented them out. The rent money comes in and with that cashflow you maintain the houses, pay taxes on them and even buy more houses so at the end of a few decades you own many houses and are very rich. But then the rent money stops and now you can’t maintain the costs to keep all your houses. You are in trouble because the people you owe money to are at the doors and you have no money. If you don’t come up with the money, your creditors will petition you into bankruptcy and sell off all your houses at firesale prices. If you were smart enough to plan for a downturn and not too greedy, you could have sold off a few of your houses beforehand to generate the cash needed to keep the others going, but you didn’t. So now you have to go begging to friends and relatives for help so that you don’t lose all your houses and other assets. And that, my friends, is exactly what has happened to the CLICO, CL Financial family of companies. 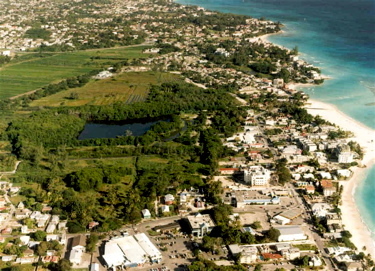 A few days before the CLICO crisis was announced, newspaper accounts say that CLICO “gave” land for a daycare centre and a school to Barbados – although the Nation article is ambiguous about whether CLICO is giving the land and doing the construction too. Pardon us for being a bit cynical if we point out that this “gift to the people” came only two days before Parrish and company announced that they were the recipients of taxpayer bailouts and guarantees that probably total hundreds of millions if not more. How much will Barbadian taxpayers eventually be on the hook for? Good luck finding out the truth because the amount of taxpayer money and concessions being given by Trinidad, Barbados and other countries is being kept secret from the taxpayers. According to more than a few of our sources, CLICO owns about 10 acres of land in the middle of the proposed Graeme Hall National Park. Our sources also say that the government’s refusal to declare a national park at Graeme Hall is partially about pressure from Leroy Parris and CLICO who have big plans to develop the land in the Graeme Hall watershed. 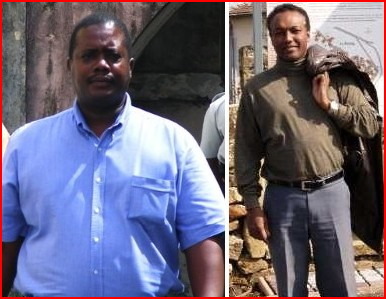 OK, Prime Minister Thompson, here is where you have to choose between your friendship with Mr. Parris and your duty to the people of Barbados. If CLICO wants our taxpayer dollars either directly or in the form of concessions, then part of the deal should include turning over the ten acres at Graeme Hall for a national park. Who will you favour? Leroy Parris and CLICO building condos in the Graeme Hall watershed… or saving the area for the long term good of future generations? Your choice, Prime Minister Thompson – and all the people are watching. AND… with the David Thompson DLP Government that was elected on promises to act honestly, implement ITAL (Integrity, Transparency & Accountability Legislation) now acting with as much arrogance and dishonesty as their predecessors. Denis Lowe – What Got Into You? Dr. Denis Lowe didn’t win a seat in the 2004 election but during the campaign and for several years after he called for Integrity Legislation and his “Charter for Change“ to be adopted in Barbados. Then we heard rumours that with the smell of possible victory in the air, some of Lowe’s DLP companions told him to shut up about integrity legislation. And that is exactly what Dr. Lowe did. We never heard another word from Dr. Lowe about integrity legislation until the last minute cut and paste announcement during the final days of the January 2008 campaign. Then only a few weeks after winning we saw that like most of the other DLP elected members, Dr. Lowe was now sporting a fine new vehicle and some fine new threads. And he never spoke another word about Integrity Legislation or his Charter for Change. Why Was Minister Lowe Moved From Urban Development? BLP Opposition Leader Mia Mottley knows the reason that Denis Lowe was tossed from Urban Development, but in typical Bajan political fashion she can’t say too much because Thompson and the gang are poised to drop a couple of big ones on Mia and a few others if she starts to name names and get too detailed in the daily bash and shove of politics. BFP reader Sad To Say has proven his insider credentials a couple of times in the past. He says that Denis Lowe was sacked for foolishly sending a fax to a contractor asking how much he was prepared to pay for a government contract. IF that is what happened, David Thompson is very foolish not to have sacked Lowe completely. If it was something else, then David Thompson is very foolish not to have met the Opposition leader’s comment head on with facts instead of his little dance of words designed to cover-up what did happen. Either way, something happened and the citizens of Barbados are disgusted that the current DLP government has as little transparency and accountability as the last BLP government. As for Dr. Lowe, whether or not such a fax was sent by him – we are so disappointed that he traded his calls for integrity legislation for silence and a few material goods.